Atmospheric soirée | Boy Mestizo: Hoy, London! I can’t quite remember the circumstances under which it happened, but at some point during my birthday drinks I was assigned the task of booking a table at Hutong for my group of friends. We were all given such tasks during a fit of merry proactivity; it was universally decided that Hutong would come first. Hardly fair for the birthday boy, I thought, considering I had just organised a killer night at Little Nan’s Bar (still riding that train). Since this evening was my baby as well as the first event of what I guess we can now call our Dinner Club, I was a bit nervous as to whether Hutong could deliver the quality experience we were hoping for – after all, some of the reviews I’d read decried the prices charged for mediocre food, along with the ridiculous waiting time to make a reservation (I found that around about 5pm seemed to be the best time to call their reservation hotline). Additionally, if any of the other twelve Dinner Club members flaked out at the last minute, it would have left me being charged £20 per head for their absence, and I’m not sure I really am that generous. Naturally, such mishaps would have left me feeling just a bit embarrassed, something my friends probably would have constantly reminded me of, because they’re nice like that. I needn’t have worried. From the moment we arrived, just in time for sunset, we had a great evening. 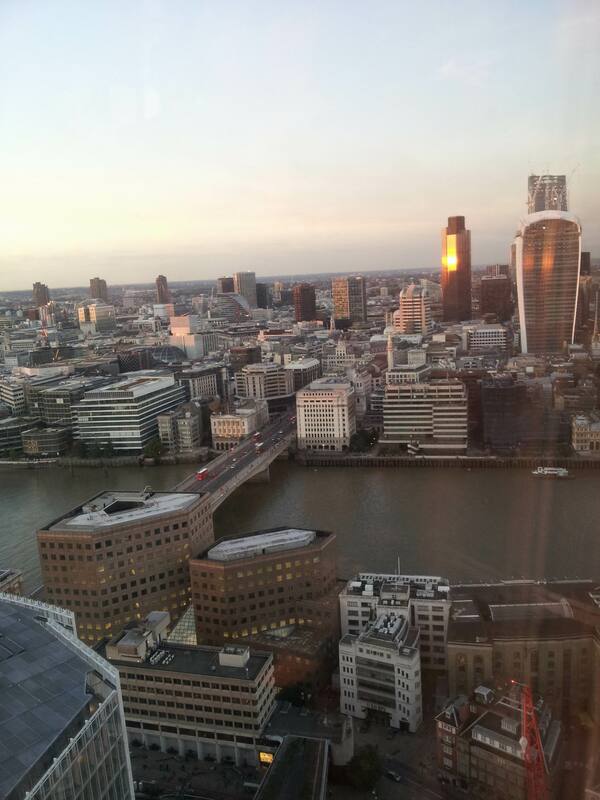 Firstly, you are most definitely paying for the setting: there are some outstanding views across the City, made more exciting by the new generation of skyscrapers rising up in the Bishopsgate/Gracechurch areas. 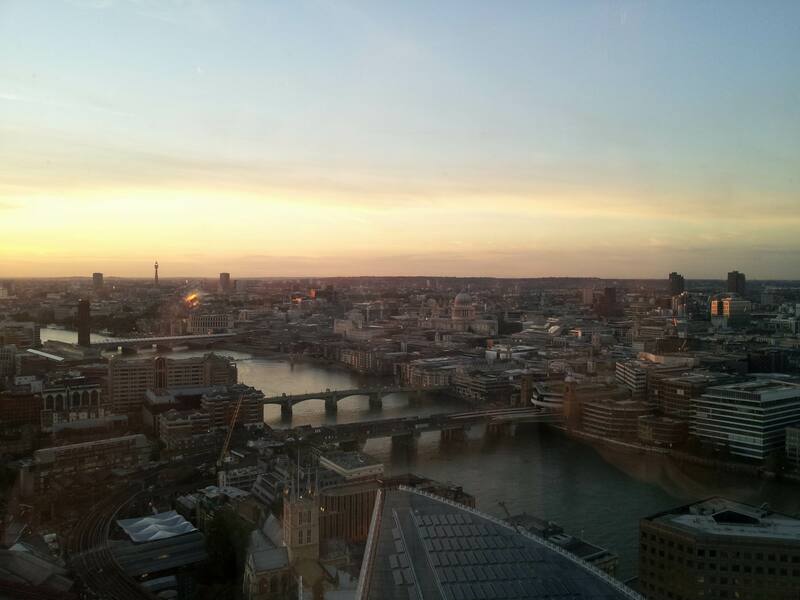 Being up on the 33rd floor certainly offers a different perspective on how London looks – and having our own private room in the northwest corner certainly helped. 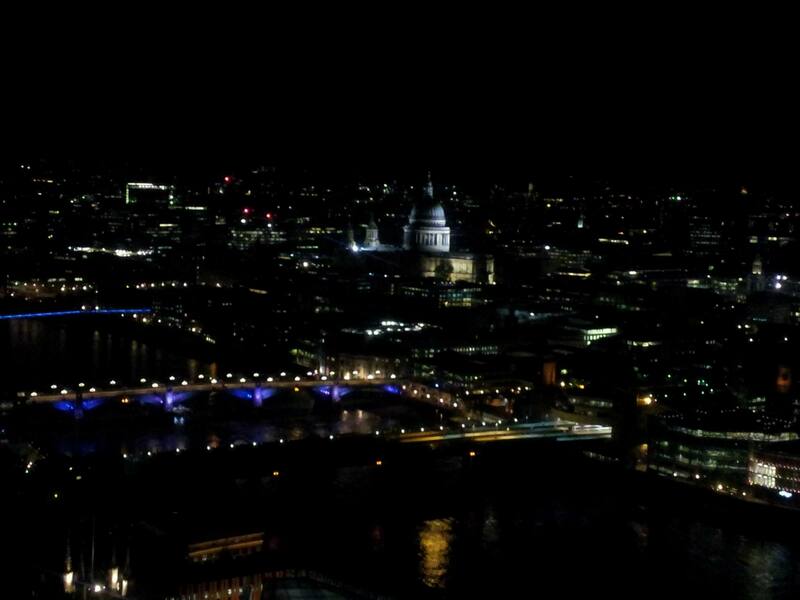 Staring down my nose at those in the City. Ha! 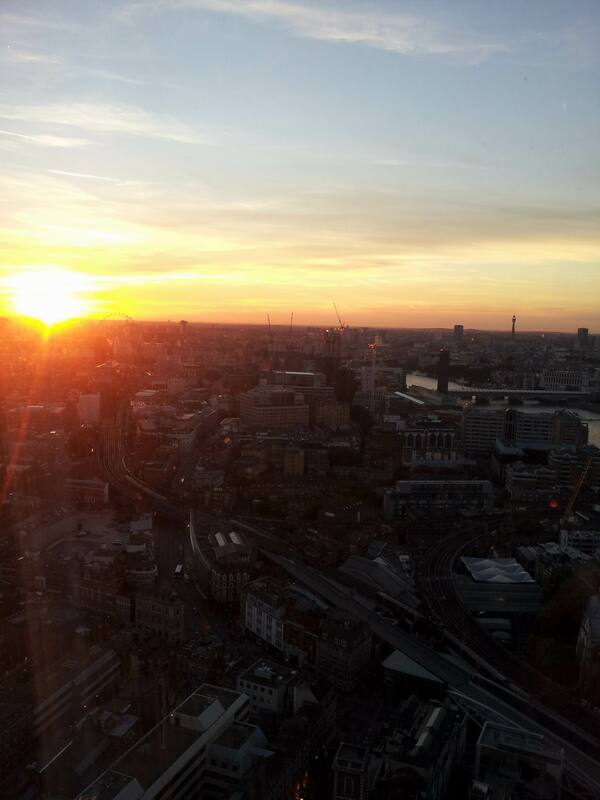 This enjoyment was further enhanced by the staff, who were very unobtrusive in letting us chat and mingle as we admired the views and waited for everyone to arrive – quite a nice and delicate touch. Once we were all settled, it was decided that as the token ‘Chinese’ person in the group, my friend (check out her blog here, it’s rather lovely) would do the ordering for us. She was suitably helped by our waiter, who advised fairly accurately how much we would need to feed a whole table of 13 – we hit the mark of satisfied-but-not-stuffed pretty well. And so the cavalcade of food began, each dish arriving in very quick succession, ensuring that our table – and our stomachs – was never empty. We had quite a range of dishes – the benefits of being a large group and able to order huge amounts – that included pork dumplings (a suitable start to the night), Chinkiang pork ribs (succulent and extremely tasty), crispy de-boned lamb ribs (could not get enough of this) and Sichuan chilli chicken (these were an astonishing savoury delight), amongst many others. 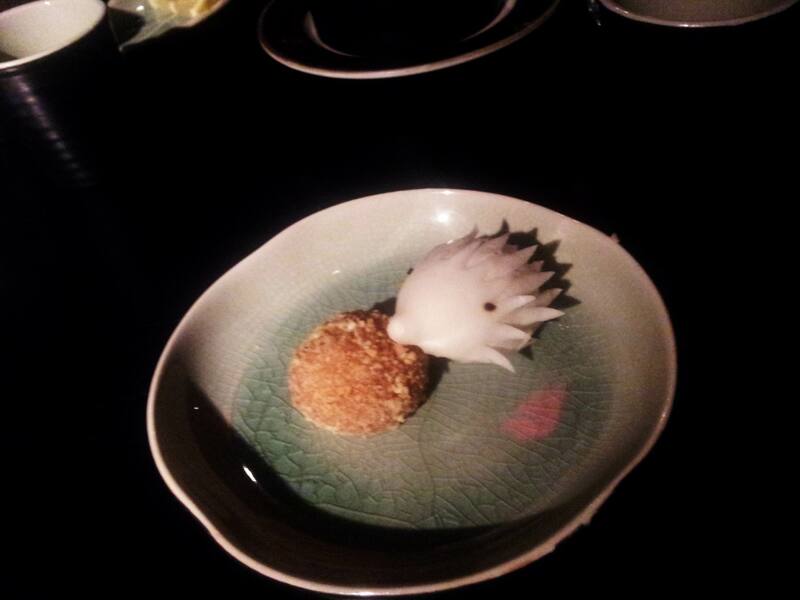 One highlight of the evening was of course Peking duck. Carved at the table, as it should be, the duck that gave its life for us tonight blessed us with superbly crispy skin and such delicious and soft fat – the least you’d expect for £58 a duck. The second serving of the duck, once we were done with the skin, was stir-fried mince with onions and spices, a wonderful thing to mix in with plain rice. 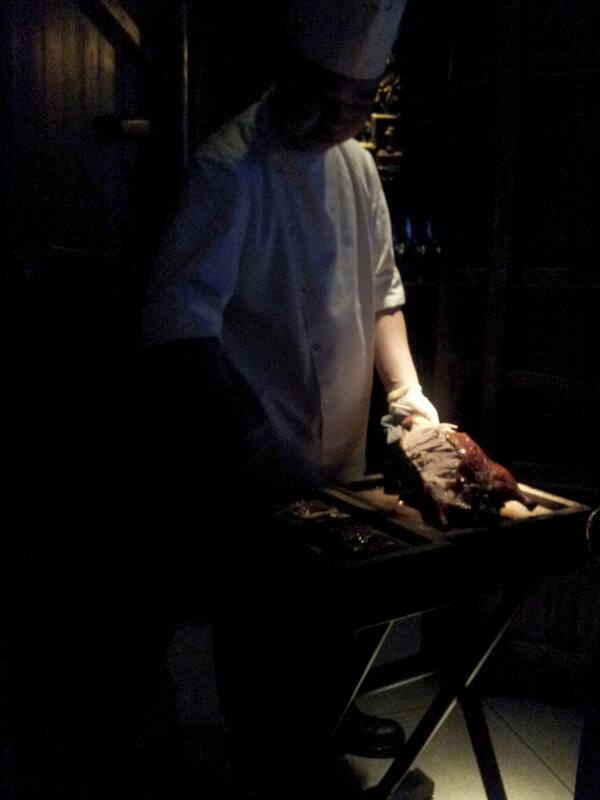 We all hankered after the duck, but alas one duck just about squeezes out enough meat for 13 people. Would it have been extravagant for us to order one more? Maybe. But it would have been tasteful extravagance, I think. 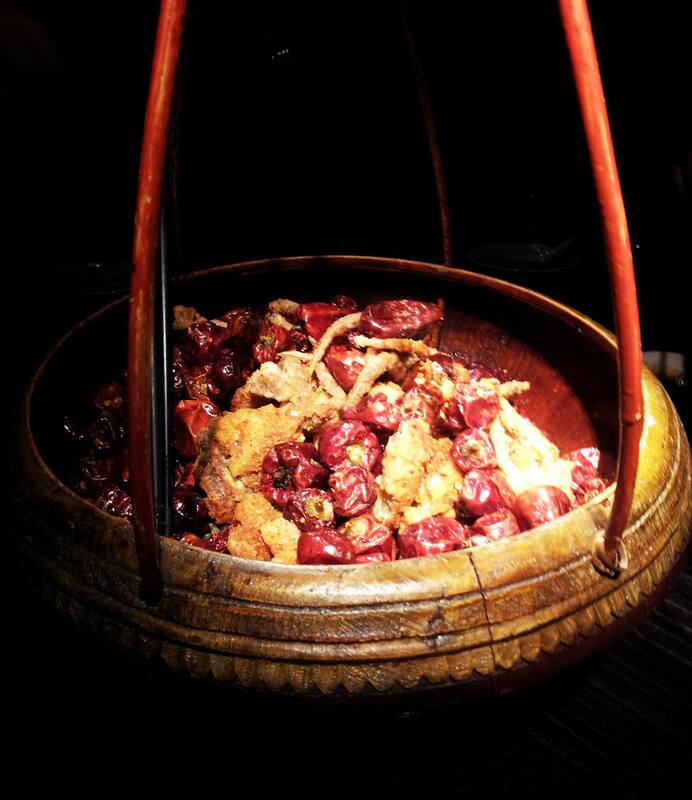 Another highlight was the signature Red Lantern – a basket full of Sichuan dried chillis, Sichuan peppercorns, and crispy-fried soft shell crab. Aesthetically, it is very eye-catching, all reds and golds mixed together very auspiciously. Gastronomically, the crab was all perfect crunchiness and flavour, and the mix of the numbing peppercorns with the fieriness of the chillis was just about right. Again, it was a tight squeeze for nearly all of us (nearly – one of us has an unfortunately fatal relationship with shellfish) to get some crab. Well-satisfied with what we ordered, we were rather pleased that there was space for dessert: crispy red bean cake (earthy sweetness in lightly crunchy pastry sheets), sticky sesame balls (gooey and not too sweet) and the cutest sweet thing I have seen yet this year: hedgehog-inspired steamed custard buns. 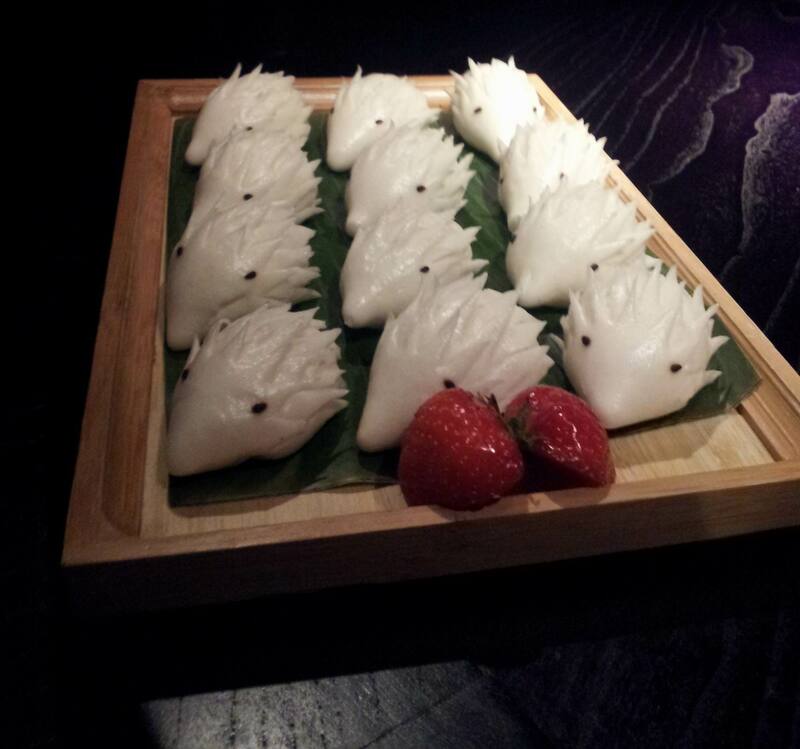 Edible pygmy hedgehogs – living the dream!! We’d been talking earlier about having pygmy hedgehogs frolicking in my garden (a serious and mature conversation, I assure you), so to have a tray of custard buns arrayed before us, with hedgehog spikiness and little black eyes was good fun. I’m still unsure as to whether it’s pure coincidence or whether they overheard our conversation (if so, for their reaction to involve hedgehog desserts as opposed to slowly walking away is a credit to them), but it filled us with endless delight. It also gave us the opportunity to play with our food. Eeeee! All in all, it was a very pleasant and leisurely evening: a perfect setting, unobtrusive but helpful service and well-presented and flavourful food – the inaugural night of our Dinner Club had been quite the enjoyable success. And the best part? Our wallets were spared a massive hit. Sure, you could get just as filling and delightful a meal elsewhere for cheaper, but you wouldn’t have the service, view or the setting. 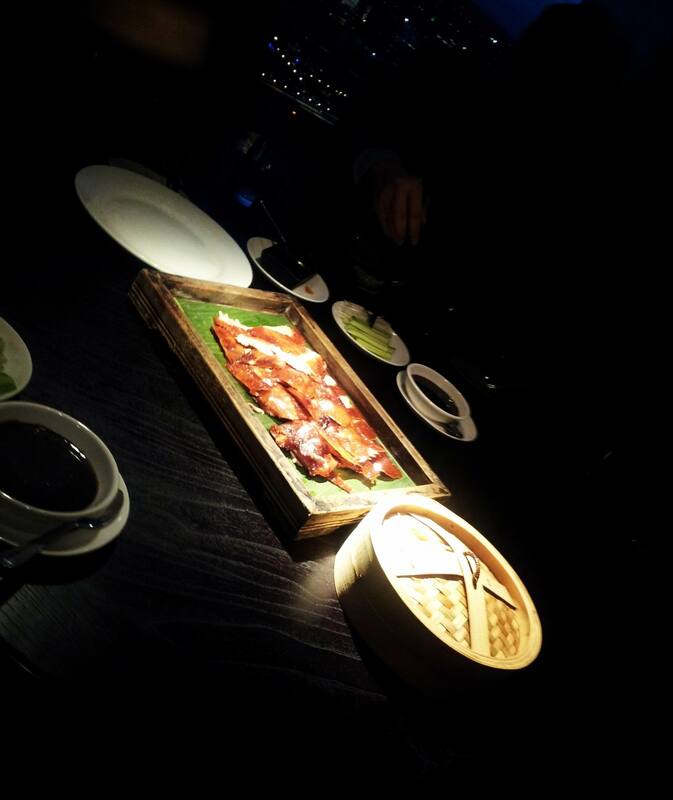 At about £39 per head (sans alcohol, mind), we were able to enjoy all that as well as treat ourselves to a veritable feast, with space to order more if we wanted without seeming extravagant (still could have done with another Peking duck though). It certainly pays to have lots of friends to share food and bills with – as they say, a burden shared is a burden halved.